Dennis Clendennen has styled hair for the runway and editorials from New York City to Asia, making enviable connections within the fashion and hair-styling industry as he has climbed the ladder of success. In a recent interview with FashionMingle.net, Clendennen shares his insider tips for building a successful career in the hair styling industry and a network of connections that will get your work on the runways of New York Fashion Week and in magazines around the world. We asked him how he got his first opportunity to style in Mercedes Benz Fashion Week: “That was interesting. When I was doing shows and teaching for Aveda, the Artistic Technical Director was David Adams and he really wanted Aveda to get back into Fashion Week, so he gave me a call and said there is this little thing in New York and they are looking for people that might be interested in doing it and it is called New York Fashion Week, of course I was jumping up and down all excited”. “The number one thing to know is how to do hair, that is the biggest thing. There is a big difference between American hairdressers and European, Asian and Australian hairdressers. 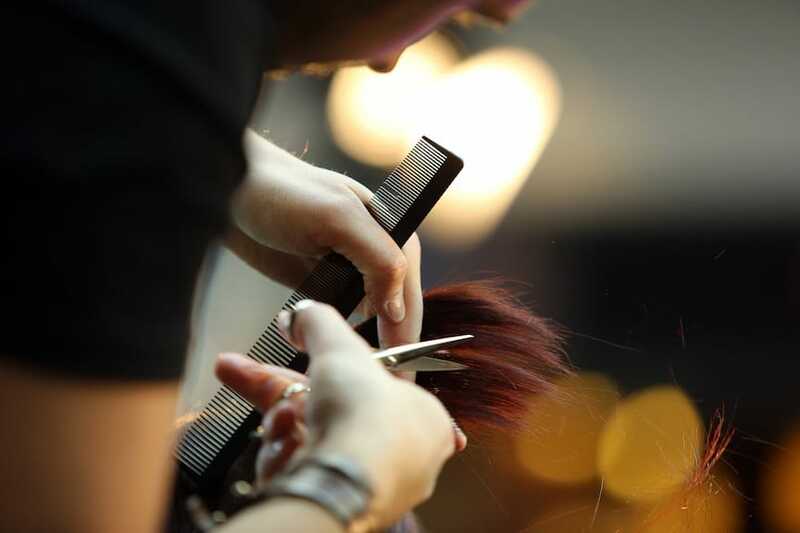 American hairdressers often get their licenses so quick that they don’t continue to learn and work on the basics. I constantly work on my basic hairdressing techniques, especially when everything is based on basic techniques. I see a lot of people that come to their first season at fashion week and they are all thumbs. The biggest thing is to learn your basics and practice your basics. Once you understand that, then it is easy to do the creative things”. “The second thing to do is make the connections that will put yourself in that position. It is easy now with social media, because there is Facebook, Instagram and there is a good site called Hairbrain.me, which is a site for hairdressers and makeup artists that want to get in Fashion Week, because you can make connections with people that are actually doing it. Remember, no one is going to come knocking on your door”. Thirdly, plan on spending money because no one is going to pay your way. Even when I do Fashion Week here in Houston, I have to recruit all the hairdressers and they all say they want to go do Fashion Week, but the first thing some of them ask me is, are they going to get paid? You have to make sacrifices and then you will actually get to the point where you will get paid. Clendennen adds “Everybody thinks you make a lot of money at New York Fashion Week, but there is no money in Fashion Week or doing a lot of editorial work at Fashion Week. I am lucky if I break even. I do it for the experience and connections I make and which allows me to have my finger on the pulse of the fashion industry”. Dennis was born with a creative eye which originally led him down a path in fine art, with detours in the computer field and the U.S. Army, but after his own personal hairdresser suggested he use his artistic talent to become a hairstylist, his path made a permanent course correction. “She said I was always watching everybody cut and style hair and that I should be a hairdresser, but I told her I didn’t know anything about it, and she said that was why I would be good at it, because I had an open mind” Clendennen said. He enrolled in the Ogle School in Arlington, TX and settled into his first hair styling position in The Woodlands, near Houston, TX. The first salon he worked at put him right out on the floor, where he was quickly frustrated with his lack of technical skill. So he spent the majority of his paycheck taking classes, going to styling shows, and seminars. His investment paid off, because as he began to meet more of the established hairdressers working the shows, they started asking if I wanted to help, and that is how he began working with hairdressers from all over the world. “That is how I got started, and from there I did presentations and became an educator for about fifteen years. I had a real drive for it and wanted to make it happen. I knew no one was going to come knocking on my door, you have to take the steps to make it happen” advises Clendennen. With less than ten years in the industry, Dennis opened Dionysus Salon in Houston in 1996 with his wife, Terri, who is a massage therapist. Since then, he has partnered with Aveda as an eductor, styling and teaching at events around the world. The team at Dionysus Salon has styled hair and makeup for over thirty fashion designers during New York Fashion Week including Jason Wu, Michael Kors, Betsey Johnson, Vera Wang, Perry Ellis, Baby Phat, G-Star, Rodarte, Keenan Duffy, Catherine Malendrino and Marc Jacobs, just to name a few. 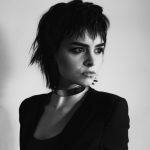 Dennis acts as Aveda lead hair designer in New York and has also been the Aveda lead during Fashion Week in Seoul, Korea and a guest artist for two shows in Australia. Follow Dennis and Dionysus Salon on Facebook to see his team’s editorials and runway creations.